My ready-made products are sold as is in reference to fabric combinations and weight. These particular items operate on a first come first serve basis. Customization is an option — extra costs may apply. For inquiries in regards to custom weight options (if available) and questions, please contact me! I look forward to hearing from you. My ready-made products use Hypoallergenic and Washable Polypropylene Pellets. Pellets are distributed evenly throughout the quilt, an extra layer of lining for durability. Quality cottons are used on the top side, with a fleece backing. All is softened up with polyester batting. Other variations in fabrics are available to suit your individual needs. Weighted blankets are NOT recommended for children under 3. 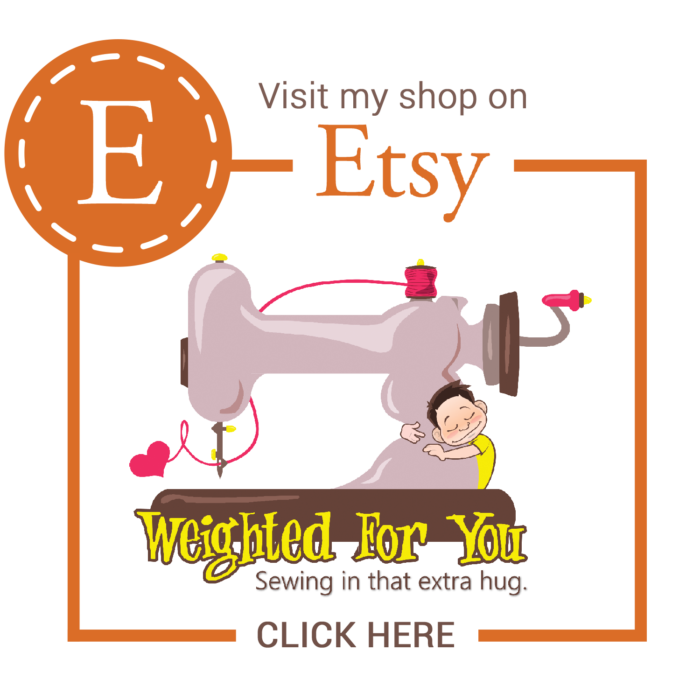 That’s right, my pre-finished blankets are available on Etsy making it easy for you to shop! Head over to my store to find the perfect weighted blanket for you. I look forward to meeting you there! 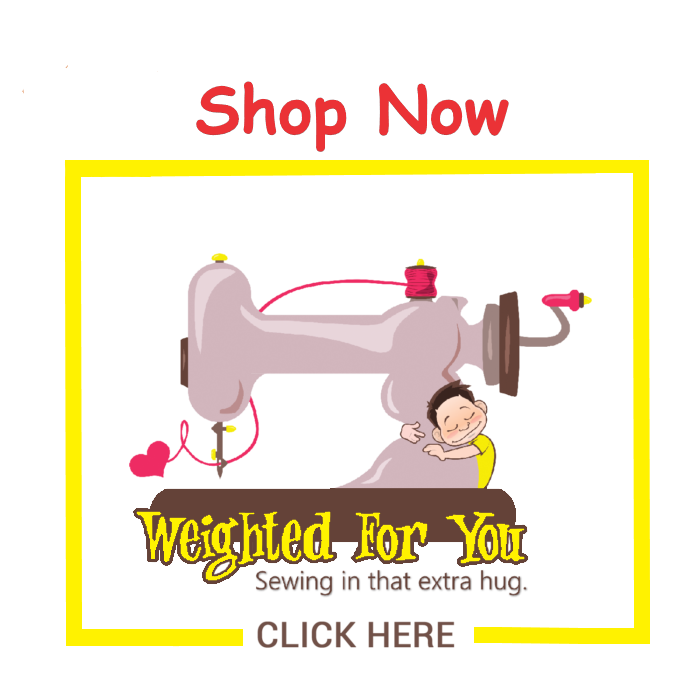 All prices are approximate as weight, size and availability of fabric are variables on custom work. All prices are for blankets with solid colour fleece backing. Custom backs can be discussed, as can patterns for fronts, 4″ squares, solid panels, or center panel with border. Blankets are meant to cover only the top of the bed. 50% deposit required on custom orders. 13% tax will be added on to the total. for Custom orders : I will take a deposit when I can fill your order within 3 weeks, or if special online order of fabric. Add $4.00 per pound over included weight.